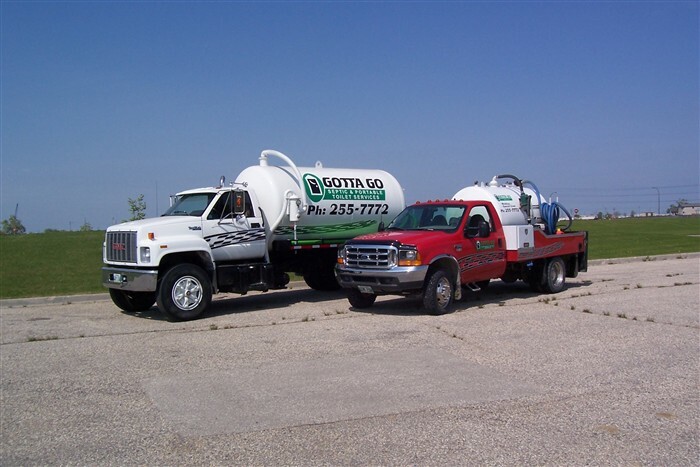 GottaGo provides septic pumping services to the south end of Winnipeg. We also fix and replace pumps and pill switches. DO: Add enzymes and live bacteria to your septic system to assure continual microbial performance. DON’T put grease or fats down a drain. DO: Check for leaky toilets and other water leaks. DON’T use drains or toilets for disposing chemicals or paints. DO: Conserve water whenever possible. DON’T wash several loads of laundry in a single day, instead spread out washing over a number of days. DO: Have your septic system inspected and serviced routinely. DON’T dispose large amounts of food down a drain. DON’T flush trash down the toilet.